If the impact of Art Basel on Miami Beach wasn’t clear before, this week brought it into sharp focus. 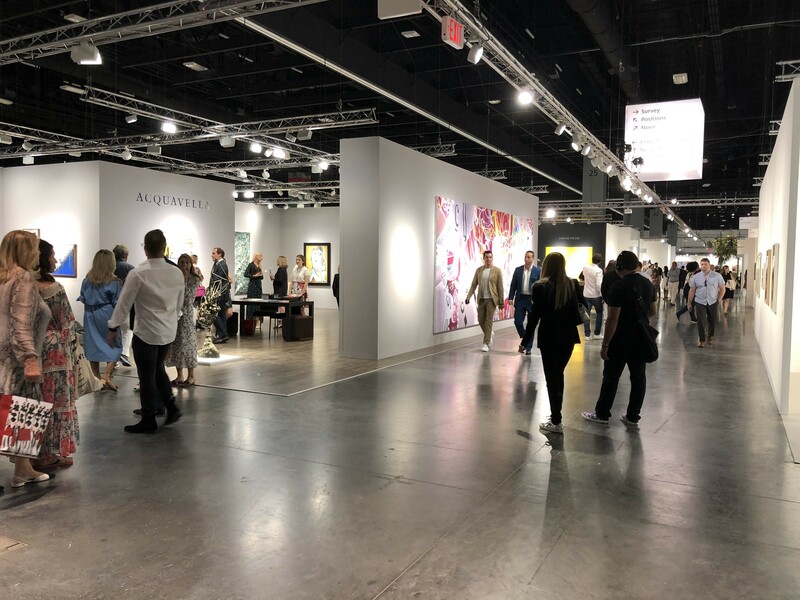 From the ribbon cutting on the new Convention Center to the opening of the 2018 Art Basel fair, the City’s leaders were quick to point out what the annual event has meant and what they’ve done to ensure the relationship continues for a long time to come. Miami Beach Mayor Dan Gelber said, “We know how important this is. It’s not lost on us.” The district around the new Convention Center, with its future park and hotel, the New World Symphony, and the Fillmore has become more than a physical complex, he said. It is now a “place that has meaning” for the community. “I think art isn’t just about going somewhere and looking at something. Art unifies. Art challenges. Art elevates. We have learned that and we want to continue that,” Gelber said. Last year, the City and Art Basel signed a long-term deal, keeping ABMB here for the next five years with a five year renewal option. Spiegler noted that since launching Art Basel in Miami Beach, events have been expanded to Asia and Hong Kong and, last year, to include a new Art Basel Cities program with its first event in Buenos Aires. The organization has also raised over $2 million for seven non-commercial art projects worldwide via a Kickstarter crowdfunding initiative. Art Basel was one of the key considerations in an unusual construction schedule which included points where the building was opened up for a limited schedule of small events and then cleared completely for the annual December art fair while creating the illusion (as best as possible) that the building was not actually in various states of completion. 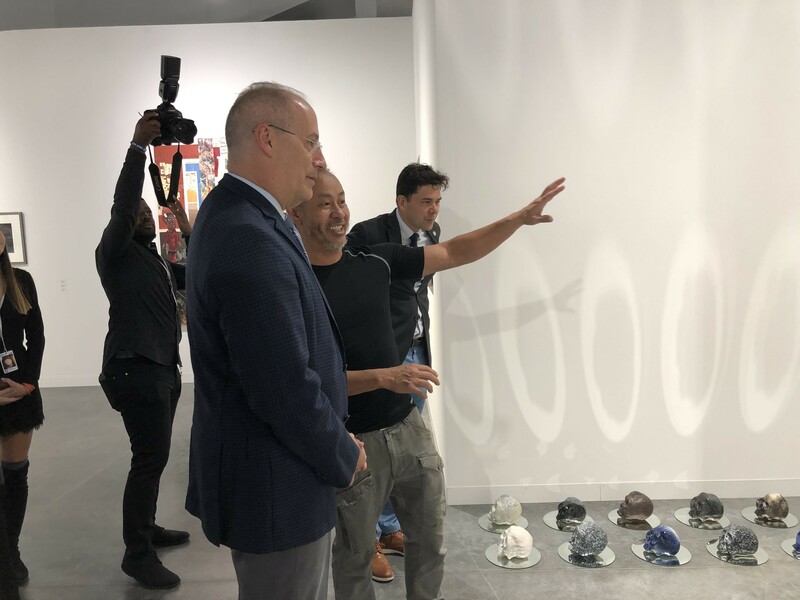 Noah Horowitz, Art Basel Director Americas, remarked at the opening, “It’s going to be an extraordinary week in an extraordinary, extraordinary new building.” In working “very closely” with the City, he said, “We totally recognize how difficult this project has been over three years. 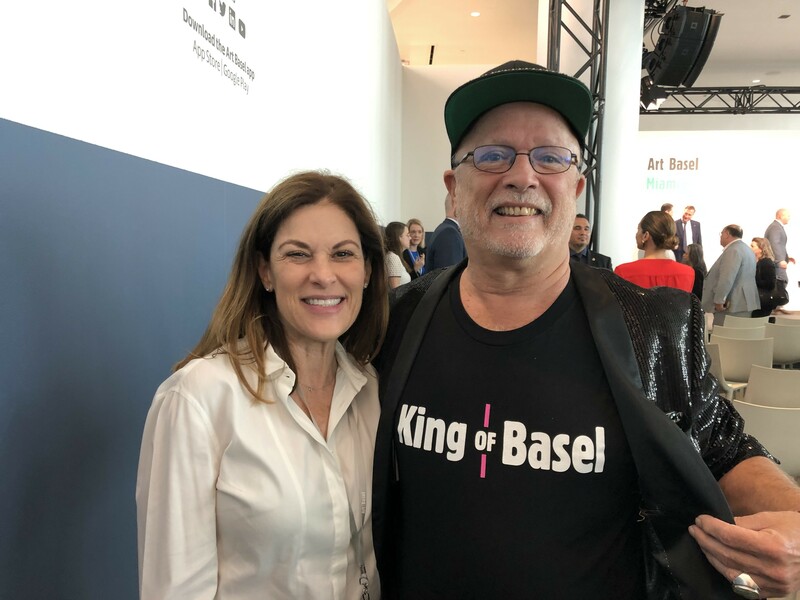 It’s tremendous, the scale, and unparalleled in creating a totally new venue for Art Basel for the future so, thanks to you” he said to the team. He noted the “natural light coming in” and the fully open lobbies and four entrances allowing new circulation, something that had been a challenge last year during construction. “It’s a much improved experience. We’re really proud of that,” he said. The new building “and its future capabilities” are behind a couple of major changes this year: the phasing out of the public art in Collins Park and the film program at Soundscape Park. With the new 60,000 sq ft Grand Ballroom (and the soon to be completed 25,000 sq ft Sunset Ballroom) along with the park that will be constructed across the street in 2019, Horowitz said the team decided to “create a really special project to inaugurate this new building.” Working with New York City non-profit The Kitchen, the fair is presenting a multi-disciplinary piece by Mexican artist Abraham Cruzvillegas. The expanded “Autorreconstrución: To insist, to Insist, to Insist” combines sculpture with dancers and musicians in improvisation performed in the new Grand ballroom. Horowitz noted this year’s show features 268 galleries – 29 of them new – from 35 countries. “We’re thrilled that David Castillo, just around the corner on Lincoln Road joins us for the first time in the gallery sector.” Castillo’s inclusion was the subject of a New York Times story this week. The first edition of Art Basel Miami Beach in 2002 featured 160 galleries from 23 countries, and welcomed 30,000 visitors. This year, the fair is expected to host more than 70,000 guests. While no figures are available on total art sales, buyers pay sales tax on purchases. “More people fly in by private jet than they do when the Super Bowl is here but nobody’s quantified what it means, how many dollars flow into Miami because of Art Basel,” he added. Then there are the people who “end up buying a condo or other real estate or a home” here, an overall benefit that can’t be quantified." Art Basel Miami Beach continues this weekend. Hours are Saturday, noon to 8 pm and Sunday, noon to 6 pm.